New fields for life-threatening allergy and special-accommodations were added to WordCamp ticket registration about two months ago. When attendee has a life-threatening allergy or need for special accommodations, an automated notification email to organizer team is sent. In addition to that, email is also sent to community team Help Scout from where we manually forward the message to organizer team. With this current procedure, organizing team receives two notifications on the same thing. This is because we take these things seriously and we want to make sure that team is taking it seriously too. But as a downside, two emails about the same thing creates a noice to organizer teams inbox. Also the forward from Help Scout is a manual task for deputies. We are now considering changes to this process so that we don’t send team anything else than automated notification they already receive. Please share your feedback and ideas about the process in the comments! The reason behind the manual forward is to make absolutely sure that the organisers receive the notification, but I think we do need to be aware of how much noise we’re creating for organisers. They already receive a lot of emails from central, as well as other things, so overloading them with more may not be a great idea. I think it’s a safe option to change our process so we remove the manual forward of info, but leave everything else as it is. As an organizer who recently received this notice, I didn’t mind the double send at all. It’s a small inconvenience to ensure we take care of our attendees. As an organizer, I agree with Christina here! But as a deputy, I can see that we can stand to streamline the process. I assumed that the point of the manual email wasn’t so much to make sure the original email was received — although that’s a nice side-effect — but to follow up with the organizing team. That’d give deputies/mentors a chance to review their plan to address the request, offer advice from what’s worked and hasn’t worked in the past, discuss budget adjustments, etc. This would be great. I feel like if we provide better told for organisers to respond to these emails, then it would negate the need for us (from Central) to manually follow up with organisers like we’re doing now. I just have to say, I’m SO GLAD this feature was added to the tickets! While I appreciate the follow up email, it does make the threads in Gmail longer. However, both camps that I’ve had these automated emails come through for use a centralized email inbox that the whole team uses. For camps that don’t use a centralized email inbox and the @wordcamp.org email is redirecting to their personal email, I could see the second send being very beneficial. Before we started using a centralized inbox for WCSTL all of the important organizer-related emails were directed to my personal email inbox. These emails could have easily been lost in my inbox (I get A LOT of email) and I would hate for someone to not have their needs met because of this. Yes, the second send is inconvenient, but to me, the inconvenience doesn’t outweigh the trouble it could cause for an attendee. I would rather see overcommunication on something as important as allergies, than not enough and someone ends up sick/hurt. This is actually quite problematic because all these emails get grouped in one thread and things can get easily lost. Instead of sending a second email, could we add something in the WordCamp website dashboard? No idea if it is doable, but it might be good to have a second reminder without adding to the inbox. I would love to see that! If I remember correctly, currently there is no way to see all the attendees with this information. There is some privacy concerns to keep in mind though, if some kind of export or listing view will be added. Heya! Sure thing, what’s the best way to get those to you? Post here? email? gdrive? name your pleasure! I think new gdrive document would be most efficient way, so we can modify it right there for global purposes if needed. Hi @jennybeaumont! I’m sure you are busy with wrapping things up with WCEU or enjoying holidays 🙂 At some point, would you or someone from the attendee services team have time to share the templates with us? That would be really awesome! On my holiday, I did give a small thought on this. I’ll suggest that we modify the email Camptix sends, add support email as CC (with HS workflow for automated tagging and closing) instead of sending own notification for HS and get rid off the manual forward. Currently, the initial email sent to the organizer isn’t so informative/helpful/nicely worded as our cover for manual forward. The following attendee has indicated that they have a life-threatening allergy. Please note that this information is confidential. Please follow the procedure outlined in the WordCamp Organizer Handbook to ensure the health and safety of this event\’s attendees. We received a notification that one of your attendees has indicated during registration that they have a life threatening allergy. Please note that this information is confidential. We take the safety of attendees very seriously so we wanted to reach out to you to ensure you follow the proper steps for attendees with life threatening allergies. Make sure someone from the organizing team reaches out to the attendee right away to find out what kind of arrangements will be necessary to make a safe environment for them to attend. Please see the handbook page with further instructions and let us know if you have any additional questions or concerns. 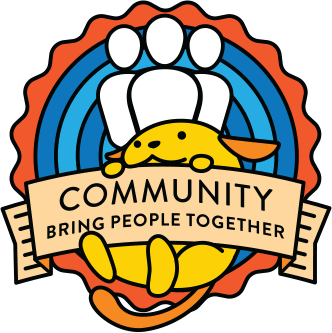 You can reach global community team by sending email to support@wordcamp.org or drop us a line on Slack #community-events channel. Same kind of changes would be applied to special accomondations email also. As this is continuation to my original opening for this discussion with more spesific proposal, I’ll move the deadline to 9.8.2018. Please share your thoughts! It will be good to have the option to add additional text to Allergy and A11y Needs field as a lot of our attendees (pretty much all of them except one) opted for those by mistake because they couldn’t understand it. Our website is in English but some people aren’t fluent in English so maybe an option to have it in multiple languages will be very helpful. Any other WC faced similar issue? Looks like my new proposal didn’t get oo much support and organizers consider it useful that we send a manual reminder. Let’s have the current workflow with notifications for now.